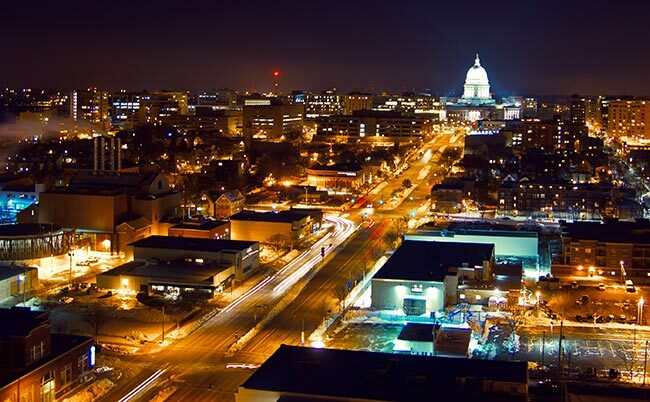 Located near the state’s southern border, Madison is both the capitol of Wisconsin and its second-largest metropolis. While many capitol cities are focused on governing activities, Madison’s economy is far more diversified than that, involving everything from insurance sales to agribusiness to auto parts production. Such a diverse economy creates a host of shipping challenges, but with the help of ExpeditedFreight.com, Madison can keep its roads open and its supply lines flowing. As an expedited freight company with broad industry experience, ExpeditedFreight.com offers speedy, safe deliveries for all local businesses. 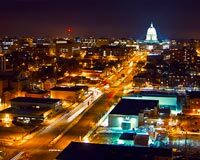 Madison thrives in no small part because of its ability to identify and master critical but overlooked economic activities. As an example, the town is home to Dickten Masch Plastics, which makes fluid level indicators. These devices are essential to the safety and performance of modern automobiles, so as the home of Dickten Masch, Madison is guaranteed a steady stream of business. As successful as this strategy is, it does create shipping issues. Because Madison specializes in producing important but overlooked devices, it needs a range of delicate and sometimes rare supplies. It also has to be able to ship out finished devices to clients in diverse locations. Carriers have their hands full trying to meet all these demands, and often have trouble doing so without risking late deliveries or damaged inventories. As an express freight expert, we have mastered the process of planning quick, safe routes, finding the shortest path to each destination that lets us avoid bumpy roads, traffic congestion, and hazardous weather. As a result, we are able to easily get in and out of Madison proper, as well as neighboring municipalities like Dubuque, Lacrosse, Janesville, and Fond du Lac. To enhance the benefits of our planning process, ExpeditedFreight.com uses sophisticated tracking technology, which lets us keep an eye on each truck while it is on the road. We look out for obstacles along the way, and guide our trucks around them as far ahead of time as possible. As a result, we almost never have to delay your order more than a minimal amount. We have a network of vehicles, personnel, and coverage in all major US and Canadian metropolitan areas. This means that if you’re shipping into Madison, we can get a vehicle to your starting point in only two hours, reducing the time it takes to complete the delivery. Likewise, for shipments both into and out of Madison, we have replacement vehicles all along the route, allowing us to keep your order moving if anything goes wrong with the initial van or truck. ExpeditedFreight.com offers dedicated deliveries, reserving a vehicle for your order. We also place teams of two drivers in each truck to maximize speed and safety. If you have any questions before or during the delivery, you can contact our 24/7 support center at any time. To learn more about our deliveries or request a free quote, visit ExpeditedFreight.com or call (608) 807-1800.